Vitamin A for Horses - How much is too much? Vitamin A for Horses – How much is too much? Vitamin A for horses is essential. But too much can be dangerous. In this article we explain how to easily work out how much is too much. Vitamin A for horses is essential for good vision, tissue health and immune function. Symptoms of a Vitamin A deficiency range from low fertility to a low immune response to paralysed hindquarters. An average riding horse should get between 6000 and 8000 IU per 100 kg bodyweight per day. For a 500kg horse, this works out to about 35 000 IU per day. This, on paper, is what the average horse food supplies. In reality, it is probably closer to half of that, because Vitamin A is very vulnerable to oxidation. The recommended doses of Vitamin A for horses have been criticised for being too low, especially when large amounts of fresh green grass are not available to the horse. Several studies have recently recommended that the Vitamin A RDA be doubled. In a 2 year study, racehorses benefited from a daily amount of 50,000 IU of Vitamin A by remaining sound longer than horses with normal Vitamin A supplementation. But you do need to be careful of over-supplementation, because Vitamin A toxicity is a very real danger. The toxic level of Vitamin A for an average horse is 200 000 IU per day. So don’t make the mistake of thinking you can safely quadruple your daily supplement amount. 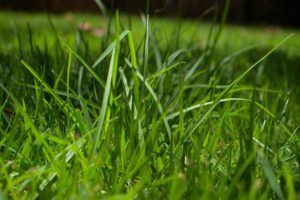 It might also be wise to decrease the amount of Vitamin A supplementation if your grass is very green and abundant or if you feed more than the recommended amount of concentrate. Signs of Vitamin A toxicity are low red blood cell counts, low cholesterol and low albumin levels. Physical signs are bone fragilty, skin lesion, hair loss and birth defects. Greiwe-Crandell, K.M., D.S. Kronfeld, L.A. Gay, and D. Sklan. 1995. Seasonal vitamin A depletion in grazing horses is assessed better by the relative dose response test than by serum retinol concentration. J. Nutr. 125:2711. Greiwe-Crandell, K.M., D.S. Kronfeld, L.A. Gay, D. Sklan, W. Tiegs and P.A. Harris. 1997a. Vitamin A repletion in Thoroughbred mares with retinyl palmitate or ß-carotene. J. Anim. Sci. 7:2684.